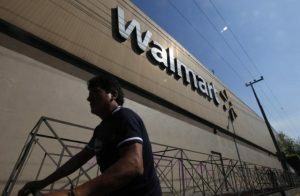 Retailer Wal-Mart de Mexico will invest $1.3 billion USD in logistics in Latin America’s No.2 economy, the company said on Wednesday Dec. 7, a show of confidence in Mexico at a time of uncertainty after the election of Donald Trump. A large part of the investment will be over the next three years including in back-end infrastructure, the company’s Chief Executive Guilherme Loureiro said. He said it would create some 10,000 permanent new jobs directly, according to Reuters. “It will involve the building of new distribution centers, as well as the expansion of ones we already have,” he said at an event with President Enrique Peña Nieto at the president’s office. Loureiro said the company had already invested 80 billion pesos ($3.93 billion USD) in the past four years. The election of Donald Trump has thrown Mexico’s business world into uncertainty, as he has attacked U.S. companies investing south of the border and threatened to renegotiate or scrap a major trade agreement with Mexico. Wal-Mart Stores Inc’s (WMT.N) Mexican unit is the country’s largest retailer, with more than 2,200 stores.